Good day, Saga FlyFFers !! Here are the rules in-game. 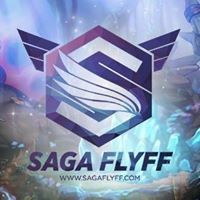 Any trading, buying or selling between a game which is not Saga FlyFF (sagaflyff.com) is strictly prohibited. Scamming includes the following: Misleading shop titles, asking another player to purchase something for DP and backing out, stealing items from scammed accounts (only if enough proof is provided against you), scamming the staff. Asking/trying to persuade another player to give you their password or bank PIN for any reason is against the rules and will not be tolerated. Players must not scam or deceive other players. Misleading other players for your own personal gain is not in the spirit of fair play. Players should refrain from advertising in game, chat or our forums. This includes advertising any website or product. Players must not attempt to impersonate any of the Saga staff and/or Saga FlyFF players in any way, for any reason. The use and sharing of hacking tools and/or 3rd party software/hardware intended to either: abuse, replicate or automate functions of the game is strictly prohibited. This includes but is not limited to; macros, trainers, bots, hacks and exploits. Players of Saga FlyFF come from all around the world and from a range cultural and religious backgrounds. Our mission is to create a fun and engaging game for all our players, therefore language that is considered offensive, racist, obscene or otherwise inappropriate should not be used in chat or as a username. Spreading any personal information of players without permission of said player is not allowed. You may not use anyone else(s) account at any time. Your account is personal to you and you may not transfer or make available your account to others. Any distribution by you of your account or related information may result in immediate suspension and/or cancellation of your account without refund. Players must not attempt to impersonate any of the Saga staff and/or Saga FlyFF players in any way, for any reason. Saga staff can be easily spotted by their GM Logo which belongs to the FLYFORSAGA Guild. Any attempt to use fake screenshots to gain either items, penya, perins, red chips, red chip bags, red chip boxes, GS Points, Dpoint Cards, DP or VP will result in a perm ban. This falls under general scamming.